Granola is a staple in my life, but I find it hard to find a brand that does the snack justice, using ingredients that make it healthy rather than an indulgence. The following homemade granola recipe uses pure ingredients that are sweetened with brown rice syrup and maple sugar, making for a lightly sweet and incredibly filling and dense granola. 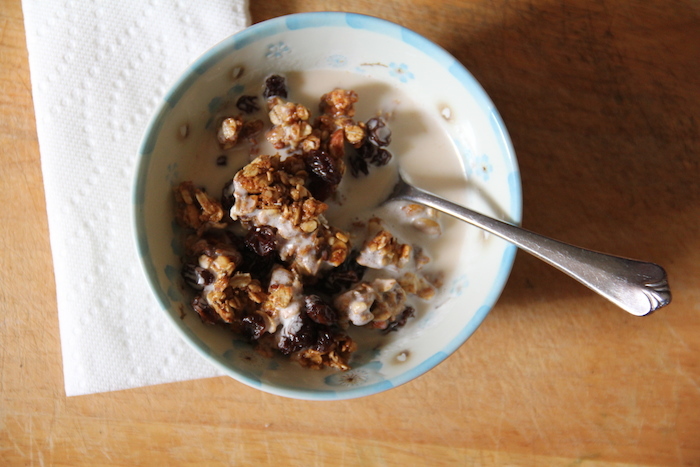 Enjoy this granola as is or with almond milk as a cereal!